Looking for a new machine? 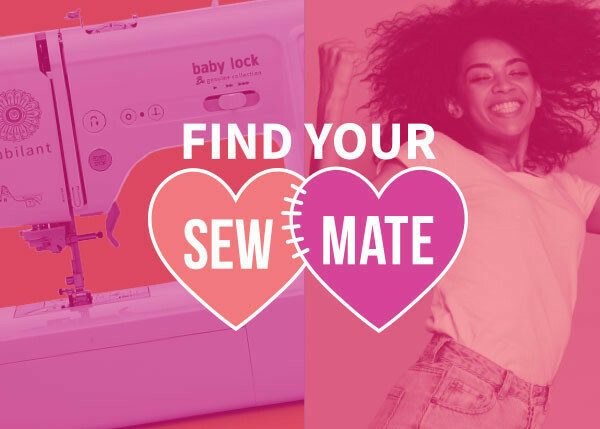 Take the Sew Mate Matchmaker quiz , visit your local Baby Lock retailer, say “I want to meet my match” and try out your machine(s) to receive a free Madeira thread pack. Quantities are limited. Offer valid February 1-March 31st at participating Baby Lock retailers in the United States. Find a local retailer on our Retail Locator.